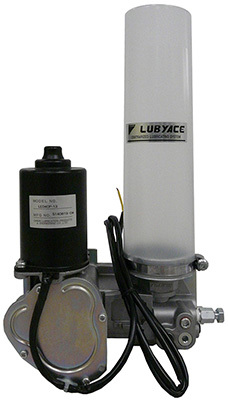 LUBYACE | Products | Daikin Lubrication Products & Engineering Co., Ltd.
An easy-to-operate manually operated pump with an easy-to-grip handle. This easy-to-use compact motor driven pump comes in a wide variety of types. 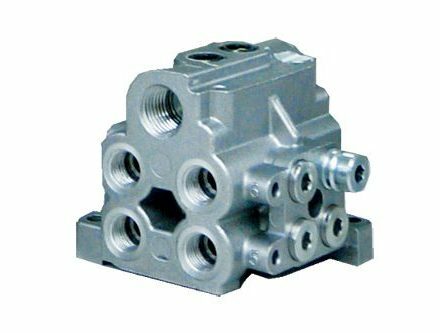 This compact distributing valve comes with a wide selection of ports and operation detection functions. 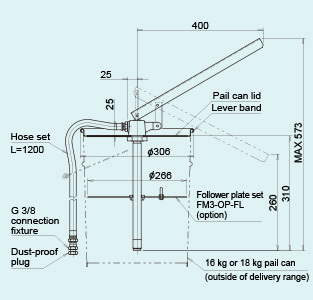 This pump is for replenishing grease directly from commercially available pail cans to the tank of the manually operated pump and the motor driven pump that are designed in a follower plate type tank structure with replenisher fixture. 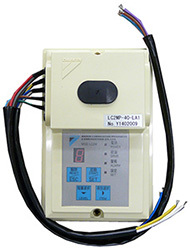 This controller features outstanding functions such as automatic operation, lubricant feed control, fault detection, and alarm output for performing system control.